For the past few months I’ve started seeing a new shape cocktail glass make an appearance in bars around town. I first came across them at the reopened hippo and co earlier this year, and they struck me as odd, the Martini seemed smaller, though it was an assured 60ml. It certainly went down quicker than usual though! Over the decades, the cocktail glass has waxed and waned in size, and back in the 20’s and onwards, they were quite small (see below). So in Dorothy Parker’s famous poem, it was most likely these she was most likely referring too. Back in the day, they made a big jug of Martini and topped up accordingly. Classy. That’s how FDR rolled at the end of the working day. Head to the US, or back to the 80’s, and you can get jumbo 120ml monsters. 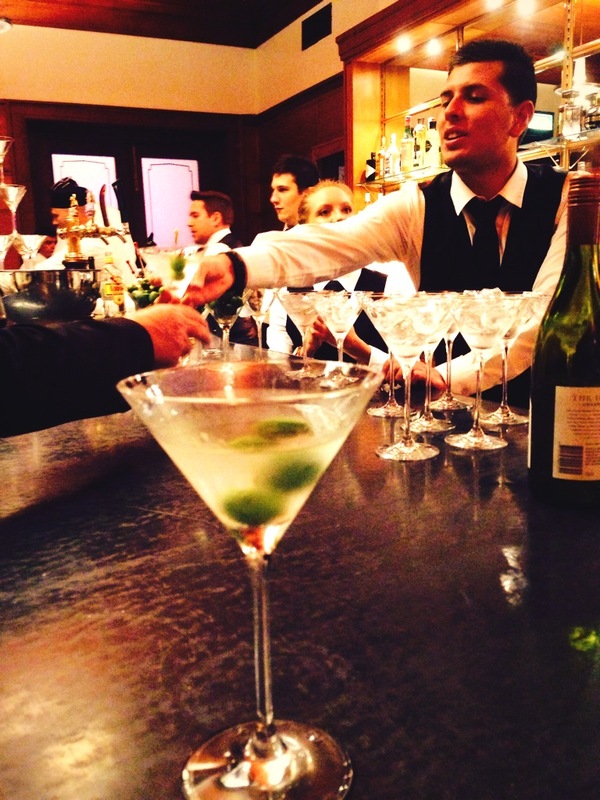 Now, as you know the Martini should be drunk very chilled, so you don’t want it too big, and need a stem. Besides you want to be able to walk in a straight line after one or two. So I’ve no problem with a 60 ml cocktail in a bar. But there is something about the experience of the saucer glasses that have me slightly off-side. I couldn’t quite put my finger on it. Asking bar tenders they say its about getting back to the cocktail era roots, so its an aesthetic and branding thing. Not so much about the flavour of the drink itself. Above- The saucer style glasses at hippo and co, ditto at Kremlin Bar. Which brings me to Riedel glasses. A lot of science goes into the design of the glasses, there are hundreds to choose from, each for a specific wine. They also make Martini glasses (pictured). To quote their website and I think you can substitute cocktails / Martini’s for wine here. 1. Bouquet: Grape varietal specific stemware is re­sponsible for delivering the quality and intensity of the wine’s aroma. 2. Texture: Grape varietal specific stemware highlights the exciting and diverse styles of “mouthfeel” in wine (watery, creamy, silky, velvety). So if they’ve opted for the classic linear shape, then is it a mistake to opt for the saucer variety? 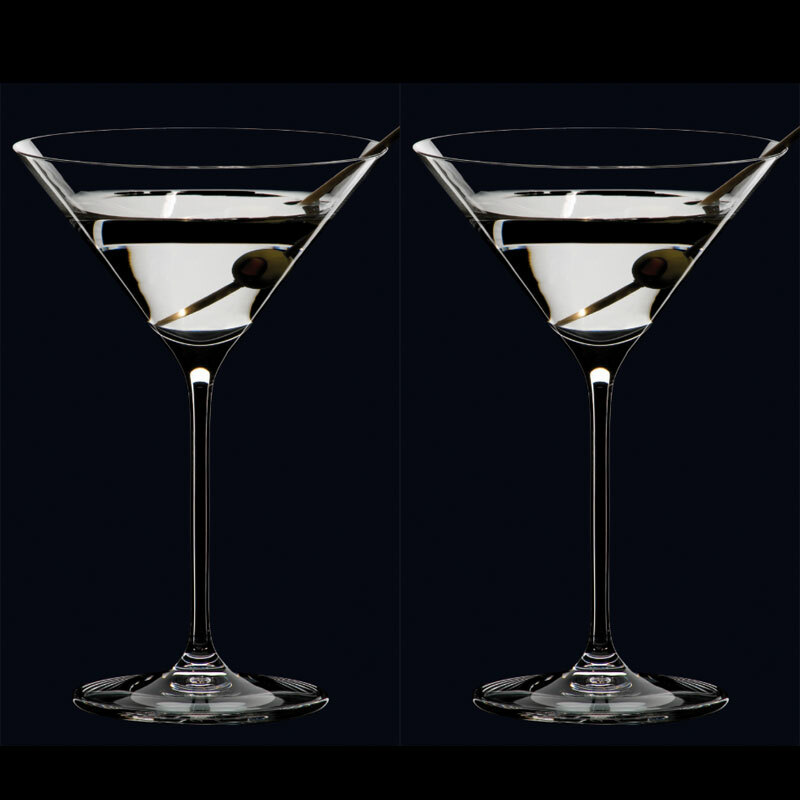 Does the shape of the glass, just like proposed by Riedel affect the taste of the Martini? For the record, I’ve drunk the same wine from a normal and the ‘correct’ Riedel glass and the wine tasted qualitatively different. I do think there is something in it. When I commissioned the bespoke Centenary Martini set created for me by Peter Minson, I went to his studio (see top picture) and being a Martini drinker himself (and past scientific instrument glass maker) he had lots of variations on the theme. We settled on the class 60ml measure, inspired by the 30’s and 40’s style. It felt right in the glass, had a nice sipping motion, and frankly they were superb to drink from. Not all new bars have taken up the style- the glass on the left is from the new A.Baker in New Acton- your standard commercial cocktail glass. 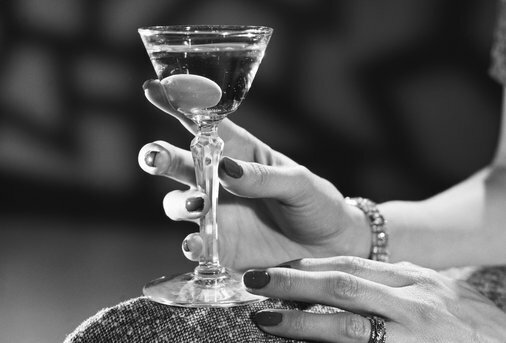 Now, the style of glass can add glamour to a drink and can sets the mind up as to what to expect, the Japanese say the eye is the first bite. The saucer style are usually vintage or op-shop sourced and give personality to a bar. I’m just not convinced they suit a Martini, and think they detract marginally from the experience. Perhaps its a cultural bias, seeing too many images of Bond and co drinking manfully from the classic shape. Something about the saucer shape (modelled on Marie Antoinette’s bosom apparently) just doesn’t work for me. So what do you think, do you think it makes a difference? Left – recently at Old Parliament House in Canberra.